The Hungarian band Esszencia’s (Essence) music is an exceptional creation. Individually, and among their respective groups, its members are well accomplished in traditional, jazz and classical styles. 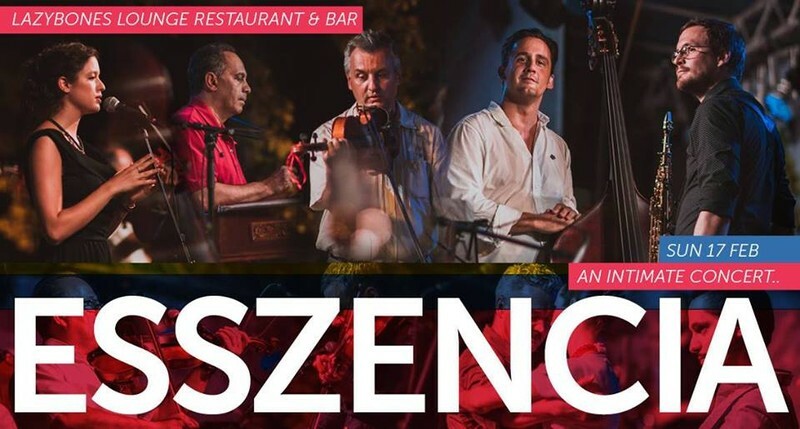 Unlike the many traditional folk music bands from Hungary, Esszencia carefully fuses classical and jazz art forms with folk music. This combination gives the audience a unique musical journey of middle Europe through musical time. Apart from the haunting, soulful, and crazy fast tunes of traditional Carpathian music, Bach and Bartok pieces are comfortably woven within this show. Their music is both thought provoking, and exhilarating, based on a traditional band of violin, viola, cimbalom and double bass, punctuated by song, saxophone, and dance.